What evidence would you need to convince you that the Torah is not the divine word of H-shem or the divine expression of G-d’s desire. While attempting to be somewhat politically correct here, obviously whenever someone believes in anything, they do not believe in other things. This explains the choosing of my belief, and isn’t meant to be an attack on anyone else’s. As I state below, I think it’s safe to say that people’s beliefs obviously have some meaning or they wouldn’t believe what they do. would have to stand out from the pack by having stronger evidence than others without obvious false statements and predictions. I am starting with a presumption that there is free will. I can’t claim to understand the nuances of what that means, but I can claim to say that if there isn’t, I should logically be absolved from any fault of my own and it doesn’t matter what I do. You won’t find me being a Calvinist or Atheist for these reason. I just don’t see the point. I don’t have any memory of, way of accessing, or way of knowing what comes after I die. Don’t tell me if I suffer in this world, I’ll receive happiness in the next world. While that’s compelling to explain a philosophical question such as, “Why bad things happen to good people” and a compelling secondary reason to keep me to something for which I already believe, it’s not a compelling reason to live my life that way when comparing to what I can see and feel here which is the only “real” thing to my senses which I have. If in my life, which I can test here and now, it will bring me tremendous pain and suffering, Pascal’s Wager is of little probative value. If someone feels it’s too hard to change, or worse, painful to change (same thing, really), they’re not going to do so based on any logic you give them. On the flip side, once I am believing, Pascal’s Wager is going to hold me there absent a pretty strong reason to the contrary. This cuts out, for me, belief systems that start with such things as “the world is cycle of suffering, so become a monk and remove yourself from it”. If you almost starved yourself to death and sat under a tree until you had it all figured out, you might come to that conclusion, too. This point also knocks out atheism for me, as it leaves us being some amazing formation of matter temporarily formed into a meaningless existence. The most vocal atheists seem to more often be vocal anti-theists, who spend more time talking about how this or that religion that they came from was wrong than the arguments for atheism, as they were hurt by people in the name of religion. The belief needs to explain more than just a particular event in time. It needs to explain the world up until now, and why it is this way. Granted, this is the foundation of all mythology, but a key difference between “mythology” and a “functioning religion” (here, I very much disagree with Joseph Campell that mythology is just someone else’s religion) is that the former is a one time explanation with little or no timelessness, where as a functioning religion has not only a beginning, but also flows through to now. I’m going to go out on a limb and say that if a belief was eradicated from the world, it wasn’t one which was “correct”. Don’t show me some Aztec story and say “look how G_d spoke to all of them, too.” It needs to be evaluated based on what it is, not what it purportedly was. Compare to Mythology 101, a real course I took in college, where the interaction between Yitzchok [Isaac] and Yismael [Ishmael] was actually juxtaposed with the ongoing Israel/Arab conflict. Go do that with Hermes and Aphrodite. Mythology and religion are not the same and the only religions that are both positive, claim a purpose to this world, and have a system which is complete and can be evaluated are those based on Judaism. We can see the 70 nations and how they function, know that each person must have a purpose, and not everyone is supposed to believe the same way save for some basic precepts for humanity. We can see that the Torah says that the Jews will be exiled from Israel, remain small in number (Devarim 4:27), and scattered around the world (Vayikra 26:33) eventually to return (Devarim 30:1-5). The later point was a matter of faith for all but small groups of Jews, until the mass immigration of Jews to Israel in the past 100 years – such a thing has never happened in history. These are rather silly things to say, just as in the New Testament it’s silly to say the “old” covenant “is now out of date and will soon disappear” (Hebrew 8:13 … whoops … silly thing to say, and even sillier because it’s wrong which created quite a theological problem for the Catholic church.) Just about every other belief in something says, “we’re it, be like us or you’re stuck suffering” which both the Western and Eastern religions have in common, none of which have a greater claim than any other. Atheism: The evidence for atheism is non-existent. The best that can be ‘proven’ is that things could happen on their own, but not how those things got here. Why’d the Big Bang decide to bang? 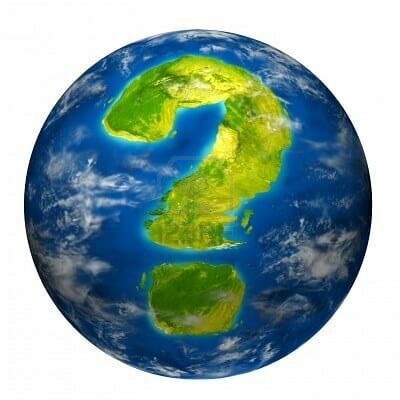 What keeps [insert name of piece of matter here] orbiting around [insert name of corresponding piece of matter here]? Quoting Ilya Prigogine, Nobel Prize winner in chemistry, “The statistical probability that organic structures and the most precisely harmonized reactions that typify living organisms would be generated by accident, is zero.” Not to mention the probability of a planet a perfect distance from the sun having a water cycle and all the other necessities of life. The only thing more far-fetched than believing in a Creator is believing that there wasn’t one. My genetics professor (name available upon request) told me quite clearly that, “i have faith in evolution because it happened.” While one can examine evidence and look backwards, one cannot run a test over a billion years to carry out the scientific method on creation of Earth’s atmosphere, development of life out of organic compounds (a still unexplained and unconfirmed hypothesis), and so on. Other Religions: The examples in point 3 aren’t “the scientific method” any more than that of anything else looking back to events in the past that we can’t repeat. There is, however, a continuation in, at least, Judaism and those religions based off of it (Catholicism, Gnosticism, Protestanism, Eastern Orthodoxy, Mormonism, Sunni Islam, Shiite Islam, Bahai, and so on). There are lots of different peoples with different beliefs, and this needs explanation. A system claiming that unless you believe like them or you get punished, combined with a claim that one man had a revelation about this would speak to a cruel G_d that isn’t worthy of my belief. Not to mention, there are so many religions that start this way with such a single person making such claims (Catholicism, Gnosticism, traditional Protestants, Eastern Orthodoxy, Mormonism), or at least, believe it about those outside of their predecessor religions which they claim to be usurping (Sunni Islam, Shiite Islam, Bahai). That’s not a very good explanation for why the world is the way it is. Other systems and even nations simply disappeared and/or usurped the claims of Judaism into their own beliefs (compare the dominant religion of the Romans to Christianity, and the pre-Islamic rituals at the kaaba – this isn’t about disproving other religions, so we’ll keep this short). Religions are based off of the revelation or enlightenment of one person. The possible other exception to this is Hinduism, and for me, is the biggest ‘competition’ for which, the Rigveda is quite an interesting work (once you get past the idols having any independent power and view everything as coming from a single infinite Creator, which is difficult). However, even so, there’s no claims of truth to any of this, and it does fit well, again, with the overarching system of the Torah stating that Avraham [Abraham] had great-grandchild who went east with gifts of a type of negative spirituality. Commerce and language similarities between the Middle East and India also abound(, though a Hindu I spoke to argued this the other way around in terms of whom influenced whom). Judaism says that we’re here to rectify the world and raise it to a pure form. We live within it, and connect to the Creator (e.g. taking off from creation in the world one day a week). That allows us to live within the world, explains the function of doing anything in it, as well as finds a higher purpose without going off to aestheticism (though, arguably, we have some sub-groups like that, too). The claim in Judaism extends back to national revelation at Mount Sinai. This is not “definitive proof” (for that would violate free will) but it is a stronger claim than any other belief system, the others beginning with the claim of a single person who told (or forced) others to believe as he did. It seems to me that if G_d wants you to do something, he’s not going to punish you for not doing, per se, but you might be missing out on, while, doing the will of the Creator. I hold this as true because it’s logical, though it’s still an assumption. The “punishments” in Torah are “consequences.” The snake gets all it’s food from the ground and never needs to look up, worry about, consider, or think about a Creator. It’s needs are met on the ground and it’s consequence is disconnection from G_d. So too, the punishment/consequence of denying G_d is the same – you “find out” you were “right”. There’s no proselytizing, because how can I prove it to you and why would I need to teach you a system of belief that you weren’t introduced into? One is introduced into this system by being at Sinai, being a child of someone at Sinai (Devarim 6:7), or choosing it on their own. That’s it. It’s logical, explains the world around us, and there is nothing with stronger or more compelling arguments which meet my four criteria. Those that claim to replace Judaism with something else have to answer as to why they don’t put on tefillin (Devarim 11:18) but yet, the Torah says that it will never be replaced. The belief also has a venerable “chain of title” with, for example, my wife’s genealogy going back to Sinai and Adam, and Jews actually remaining small in number and existing to the irk just about every authoritarian who wanted to consolidate their power. Unless you want to ignore all the evidence for political purposes (such as the Waqf in Jerusalem advertising King Solomon’s Stables on their pamphlets in the 1920s, but today, denying there was ever a Jewish presence in Israel!?) it’s pretty clear that Jews do go back continuously to biblical times. 1) “Why would G_d create the world this way, why wouldn’t it be created with or without X?” Answer: I don’t know. I can only evaluate this world and I don’t claim to know what a Creator would or wouldn’t do, but a simple partial answer would be based on the Ari Z’l that the Creator wants a relationship with us. An infinite G_d without a creation that can choose to do good or bad, is not infinite. We can choose to come closer or move further away from the Creator at all times. This world is in such a way that we have freedom to do either, but our relationship, the end goal (which is common in both Western and Eastern religions) is the best for us and the Creator of whom we are actually a part thereof. 3) Age of the universe. A literal reading of creation in the Torah seems to contradict science. Numerous articles could be written on this topic, but in short form, one of my favorite answers is that of Dr. Gerald Schroeder (whom I once picked up from an airport and asked him if he believed in his own theory, to which he said, “I’m starting to after teaching it for so long.”). This posits creation being told from the point of the view of where the universe was created for which what would become the Earth is in an accelerating frame of reference, only switching frame of reference and “slowing down” when Adam is given a G_dly soul on the 6th day of creation. It fits well. Other answers come from Shrodinger’s Cat and waveforms only being collapsed once observed, and the Zohar’s statement that there is nothing in the world by desire. In other words – Adam made the world this way, as did subsequent evaluation and as the midrash says, pretext from G_d to have it turn out a certain way, through subsequent molding. It also took Aristotle’s philosophy until the past 100 years to catch up to Judaism’s view that there is a beginning, in the first place and who says it won’t be replaced again? Again, we weren’t there to test it. We can only see the results and make theories, basing them on presumptions that we hold to be true and then evaluating (just as I presume there must be free will, I must be able to deduce with my senses, and a world following from that). 4) Classic theological problems – bad things to good people, children dying, suffering in the world … for that, take a look at Malbim’s commentary on Iyov [Job], or write in the comments. Suffice to say, these are their own topics. Got more? Feel free to comment. Assuming with live in a world with free will, what amount of evidence would be enough for you to believe in G_d? Assuming free will again, wouldn’t the arguments against, or at least, the ways a person sees it, be equally attractive? So how can anyone who wants to say ‘there is no G_d’ ever be convinced of something they don’t want to see? Here are the collected atheist answers, keeping the original words intact as best as possible. For me, enough proof would be if the scientific consensus held it to be true based on the scientific method, and even then only those details that have been established by experiment. I.e. just proving that there’s a creator or a prophet 4000 years ago, doesn’t prove all the other details in a package. This would still allow free will, because we see so many people today choose not to believe scientific claims, or act in ways that would put them in danger according to scientific claims. Rebuttal: It is arbitrary to say that science has to prove G_d to believe. One could arbitrarily say science has to disprove G_d to disbelieve. Science and testing theories does not answer whether there is or isn’t a creator. The scientific method only answers what we observe, not how it was created. The hypothesis here would be “there is a Creator” or “there is not a Creator”. Either hypothesis is untestable so this is no basis for choosing non-belief, or for that matter, belief. The scientific method is irrelevant. Though arguably particle physics might be getting close, having faith in scientific experimentation to produce results that cannot be tested does not mean the hypothesis is not correct. This answer is based on a fallacy, and further, maybe scientific tests to show there is a Creator and people choose not to believe, but it certainly can’t show the opposite. Let G_d make a world with free will where it’s also obvious to everyone that you exist. Can he do that? If he’s omnipotent and omniscient he can think of ways of doing that. If you just start thinking, even you can come up with ways too. For example, G_d could make a world where it’s obvious that he exists but there’s no punishment for people who sin or there’s no proof that punishment happens and a lot of people believe that it doesn’t, so people have the free will to decide if they want to please G_d. There are many such alternative ways it could work, and an omnipotent G_d can certainly make the world like that, so the argument of free will is not valid. It is a later invention because there was a time when most people were certain that there is a G_d. Having stated the above, These are interesting thought experiments, but we need to work within our world, not a hypothetical world. We could spend pages and pages dissecting every different world and the pros and cons (not to mention, that such other versions of the world did or may yet exist, such as the era of Adam before the downfall of man and the era of the Moschiach). In the meanwhile, we have to make sense of our world and at least accept that there could be a Creator of this world, and that we don’t know more than the Creator, no matter how smart we are. If I saw the 10 makkos and the sea split, that would be enough . . . all the firstborns dying, rivers turning to blood and frogs everywhere right after Moshe Rabbeinu predicted it all? Sounds pretty compelling to me. Rebuttal: This violates the question. If there’s free will to believe or not believe, then even if you experience things that can only be from a Creator, you could still deny and try and find a godless explanation. In fact, using the example provided by atheist #3, Pharoah did exactly that, repeatedly! (A simple answer to the ‘hardening of the heart’ is that he chose to do so, and so G_d helped him in that direction, consistent with the free will positing, above.) It goes further – according to commonly quoted midrashim, this was not enough for 5/6 of the Jews. On the other side, according to the text of the written Torah itself, however, some Egyptians did leave with the Jews, seeing the signs as signs from a Creator. However, it didn’t take long for people to doubt, and Amalek attacked soon after as a result. It is unclear that this would really be enough for Atheist #3 in the situation, but even if it was, what about if he didn’t witness the above but his father did and told him about it? What if his father told him he heard it first hand from his father? What if his father told him he heard it second hand from his father who heard it from his father? How far back until we say, “it’s not strong enough evidence anymore?” In history, the answer seems to be about 3,100 years until Jews largely stopped believing in the chain, largely due to purposeful government sponsored assimilation and persecution in German and Russia, and lack of education in the United States more than any theological difficulty. In the Torah, the chain is listed forward straight through from Adam to Avraham to Moses to Nachshon (first in the water) to Ruth to King David and his descendants, who are historically verifiable. My wife’s family tree goes back to King David through Germany, Spain, Iraq and more, and though admittedly sketchy for some time between there and King David, we do know the leaders of the generation and what they wrote straight through the times of the Mishnah, Talmud, Geonim, Rishonim, and so forth. If someone could show me a strong otherwise non explainable correlation between people that keep the Torah and good thing happening to them or if some sort of entity appears to me claiming to be G_d and does enough miracles to have me convinced that he’s powerfully enough to do bad things to me if I sin. But frankly I don’t think anything can convince me in G_d who created the world. The only way I can really be convinced is if G_d actually changed the way I reason things in my mind. Rebuttal: The question resulted in a very forthright answer – unless the correlation is obvious enough to suspend free will (we see the results of reward and punishment near-immediately and obviously), there can be no G_d. While an honest answer, it violates the question that posits free will to see and not see equally, and further, like the rebuttal to answer #2, posits that the world we live in would not one created by G_d and closes off ability to see if there is one in the world we are in. On a totally different level, this answer is somewhat the flip side of answer #2 in that this one is a negative answer about “do bad things to me if I sin” whereas answer #2 was about a more positive world with no punishment for sin, and only love. Suffice to say, I think the answers say much about the psyche and associations of each person. In a world as confusing as ours, would a rational G-d who expected us to know of his existence not have an obligation to give us at least one objective piece of evidence proving he exists? Even a single revelation per generation like the one that supposedly happened at Mount Sinai would be enough. It is not rational to ask, “why isn’t the world different?” and to enter the realm of a hypothetical world. It is rational to examine the world for what it is and make our choices are a result. Smart people are theists, and smart people are atheists – yet lack of evidence is not evidence of lack. If you’re G_d, who says you need to have open revelation every 20 years? Why not a period of open revelation, and a period of hidden revelation? See what people do with it, and see if they continue to make the relationship even while you ‘pull away’ as a test. Maybe that’s better, ad maybe that is … what is? Have you heard of global warming? Global cooling? If we have the minds to know right from wrong than it is our responsibility to act upon what we know is right- I don’t need a G_d to tell me something is wrong or right- I have instincts like all animals do. Why exploit oil, energy, animal life, entire rainforests, cause pollution and contaminate unnecessarily? Why not just use exactly what we need and stop being greedy? Why buy a brad new BMW if I live in a city like Manhattan or Tel Aviv where I can ride my bike? Why do people throw garbage out the window? Why do we hunt endangered species? Why don’t we find natural and environmentally friendly sources of energy instead? At the end of the day it is not us who will destroy the earth, but the earth itself will destroy us through natural disasters in order to prevent us from causing more damage. Rebuttal: Yeah, that’s a real answer. It also included eating organic, free range chickens and stuff like that. This one doesn’t even attempt to answer the question before breaking it, but I include it because it’s still interesting. This goes to morality without an objective/cosmic system, for which I’ll go into extremely briefly: in a man-made morality, if we go by each person’s morality and what is good for them, it’s an argument for anarchy and I can kill you because I only know of my own pain, not yours, and this gives me pleasure that I choose. If we go for society-functioning morality (which I’m all for, verses the former) then forget John Locke. Ancient Egypt has little autonomy, individual rights, or freedom of … much, and it lasted about 3,000 years largely unchanged. That’s a much more successful track record for the good of society than any utilitarian model. The problem is this: the person’s ideas do have their roots in a G_d-based system (okay, Judaism as I was dealing with Jewish atheists). We have kosher slaughter of animals to cause them no pain in a timeless manner which worked as well 3000 years ago as today, we do not kill more than we can eat, we do not waste, we do not buy excessive material goods unless for the purpose of beautifying a mitzvah, we do not even tear a leaf off a tree if we have no reason to do so, our cities are supposed to (and were, when Torah law was in place) be a certain size surrounded by fields, we do not cut down fruit trees, etc, etc, etc. The environmental list goes on and on. There’s nothing like Jews to go off on an extreme tangent after a few generations. Do we follow this to the logical conclusion and say kill all humans because we’re destroying the planet for the rest of the animals who are not? Do we follow one of my PETA-membered lab partners in college who said that if a dog and person were drowning, she’d save the dog first because it won’t kill people? Nothing stops people from using their own logic to do terrible things (which isn’t to say religious people are exempt, but this is a rational philosophical discussion, not a discussion of people acting irrationally). Jews are at the forefront of the pro-choice and pro-life movements, democracy and communist movements, feminist and anti-feminist movements, and everything else. Apparently, without G_d telling you something is right or wrong, you can believe just about anything and argue that it’s right. Torah is the system that binds this together and says at the same time, don’t harm your fellow man, but here are the instances when he deserves death; even if he deserves death, here are the very limited circumstances where you can do it. So on and so forth. Torah following Jews are human and can mess this up too, but point is that you could be going down a very pleasant river of your own intellect and not see the waterfall ahead because you didn’t care to consult the guidebook because “I have instincts like all animals do”. There are smart people on both sides who argue for either side. If we choose to see a Creator, it’s there everywhere we look. If not, then not. That’s our free will choice. I don’t expect the Creator to act how non-believers want the Creator to act in a fantasy world, but would rather start with the world I’m in. This world might be created by a Creator. Once we go there, then we can look at the evidence and see what makes the most sense. Theists and atheists are generally speaking different languages, so the question is only which way of looking at it makes more sense, and the answer to G_d’s existence flows from there. 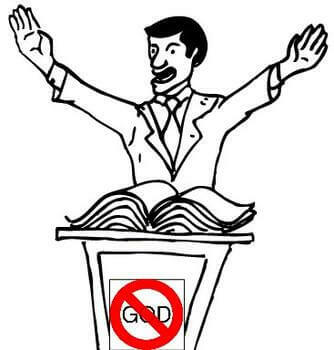 If you look through a prism of atheism which says “prove it to me”, you are denying free will. You want something as clear as a Bitcoin hashtag level verification as proof? Well, even if you had that, then according to the theory of free will, the counter balance for not believing would still be equal, thus arguing with someone who does not want to believe is futile, but also, makes their arguments without merit in a world that has free will. Translation: taking the data points we have for life’s development, and you get an age of life as somewhere between about 7 billion and 12 billion years old. I’ll be the first to say that extrapolations of data to this extreme are absurd, just as are extrapolations about the age of the universe which assume such things as the speed of light remaining constant (actually, there are scientific theories today, to explain problems in the timeline that say the speed of light used to be much faster), and other properties of physics were always constant. We simply don’t know that. In a few thousand years of recorded history, of which very little even talks about the force and nature of gravity, let alone more ‘complex’ concepts, extrapolation to the 11th power on the timeline from this, is ridiculous. Admitted problem 1: earth itself is 4.5 billion years old. Admitted problem 2: how did it begin? Theory 1: spontaneous creation of complex life (with nod to Genesis and the biblical account of creation in the article). Theory 2: life was preserved amongst gases during sun/earth formation. Life on earth is actually a continuation of alien life. Personally, I find the second theory total absurdity, but I suppose if you really, really want to deny that there’s a Creator, direction, and purpose in life, you’ll come up with anything, no matter how far-fetched. More so, I’m simply amazed that an MIT scientific journal mentions the Bible. It wasn’t too long ago that the masses in the world (outside of those religious types…) believed that we had a ‘solid state’ universe – it just always was. This was Greek/Roman philosophy. Only in the 20th century did science suddenly say that yes, there was a point in time of creation of the universe. Now, to give a possibility that not only is the account of G_d’s creation of a world having a beginning as being correct, but also to say that life was created by G_d, and some un-directed processes? That’s an even bigger shift. In jewish belief, in the era of the Moschiach, everyone believes that G_d created the world. There is no doubt. It doesn’t seem so far fetched these days. Popular Science 1872, 1936 – Nothing New Under the Sun! When contemplating the size of the universe and how small we are, I was wondering “who are we that G-d should pay any attention to us? Do we make a difference?” So, I made the following calculation, if you multiply the 500 billion galaxies (estimates are 100 to 500 billion) by average 100 billion stars in each galaxy, you get 5*10 to the 22 power. But if you get the about 100 trillion cells in a human body and multiply by 7 billion world inhabitants, you get 7*10 to the 23 power, or 14 times more than the number of stars in the observable universe (as far as our telescopes can reach). Now, this calculation is only including humans, but there are zillions upon zillions more of different animal species, vegetation, micro-organisms and bacteria everywhere, an “unlimited” number of them.One can wonder, however, that a star is big and a cell is small, so aren’t galaxies more complex than the human body? Left, Brain Cell. Right, Universe. From a cellular perspective – A star is a non-living entity, while each cell is live and is extremely complex, with a DNA that contains the blueprint of the whole body (it can potentially recreate the whole body). While the stars and planets are “dead”, the cells are composed of 23 trillion molecules that coordinate among themselves and operate to maintain life within the cell. Cells go through complex duplication phases, DNA encryption, and just the daily maintenance and coordination between cells and organs is a world in itself, a level of complexity that is not found in the dead planets or solar systems. The DNA in each cell commands exactly how much each cell should grow/multiply and tells all the veins and capillaries (60,000 miles if attached end to end) to supply 100 trillion cells with the blood supply. The cells and veins/capillaries grow exactly from the blood artery to the location where it needs to be, and stop growing right there. If the capillaries were to continue growing beyond their target, or if the cells themselves were to continue growing non-stop, the body would not be able to function. This is actually very similar to what happened once in the universe in the early stages of creation – G-d’s name Sh-d-ai symbolizes the one who told the universe to stop expanding. From a cellular perspective, the body needs the same command, to just grow to the specific sizes and positions and stop! But the body has to do this continuously, as our body parts are constantly being replaced. This also leads to the next difference, that while the stars and planets exist for millions of years, our body is constantly replacing its cells, with 2 trillion cell divisions/replacements occurring every 24 hours. So, from our intricate cellular perspective, it seems that our 100 trillion cell body is a lot more complex and therefore, needs more attention from G-d than the stars. From a mind perspective – As opposed to the stars and galaxies that continue on their predictable paths and therefore require little supervision from G-d (relatively speaking), due to our ability to engage in free-will, G-d judges us every moment for every thought we have and for every move we make. It’s not just the thought but the quality, feelings and intentions behind it. And G-d is judging the whole world, every person on the planet at the same time. Additionally, because of this free will, our future and the future of our counterparts is constantly changing based on our decisions. When we make a decision to be good or bad, G-d has to plan our life and relationships accordingly, whether we are going to be making more or less money, be more or less healthy, if we are going to meet certain people or not, and how is that going to affect our family members and friends, and even those whom we don’t know yet. These dynamics are constantly being played by all 7 billion people in the planet at the same time. Our free-will changes our life paths and requires G-d to provide constant intimate supervision, a supervision that is not needed for the dead planets aside from letting them keep doing the same thing. So when wondering about our small size versus the universe, we should not be intimidated by our size but understand that just like the DNA is the most complex entity in our planet, despite its small size, so are we humans, the most complex entity in the universe despite our small size. As such, I conclude that despite our small size, it seems that our life in this planet seems to be more complex that what goes on in our observable universe. So, when wondering why did G-d make the universe so big, perhaps we can say that one reason is to show His abilities. Because that in order to show (at least in one way) that He is capable of creating this complexity on earth, it’s imperative that such a G-d be able to create something as vast as the whole universe. The whole universe (which is based on dimension within dimension (quarks, atoms, molecules, cells, organism, human, planet, solar system, galaxies)) is to show that indeed, He can read and judge every person’s thoughts, coordinate every action and every cell. Now, if the universe were to really reflect the complexity that goes here on earth, then perhaps it should have been much bigger. Actually, some scientists claim the real universe to be much bigger than what we can see, as big as if our whole universe were just an atom inside the real universe. So when wondering “What is a man that G-d should pay attention to”, if a man is just mundane, not thinking about G-d, then right, perhaps G-d is not that interested in that kind of man and eventually all his actions and thoughts will be forgotten, just like a little speck of dust in the vast universe. But for a man who is constantly thinking about G-d, who is constantly thinking about doing mitsvos and subjugating his heart to G-d, then G-d has a high interest into that person. The complexity of all the thoughts about that person, how much reward he deserves for each thought, is something extremely complex and of high interest to G-d, who wants to give us so much reward. Then, perhaps man can be as much or even more involving and complex than a whole galaxy, and deserve more attention from G-d. So, when coming to pray, don’t think about the G-d of the whole universe, who may be far from us. No. G-d’s attention is right here by every single one of us, counting every thought we have, measuring our character traits (generosity, devotion, piety, calmness, etc), busy with the most complex and entertaining entity in the universe – the human mind, heart and life. 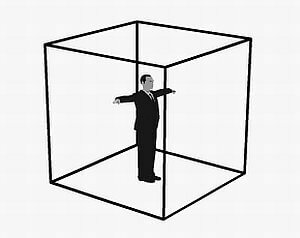 Imagining the 10th Dimension is actually a series of videos which neatly packages a lot of current scientific understanding of quantum physics into a simple line-art video. That is, the artwork is simple, but the concepts are still very difficult to grasp. While the Jewish understanding of the infinite creator is, I think, a bit different, and I’m pretty sure we don’t believe in multiple timelines, at least, conceptually, this helps us broaden our understanding and come closer to understanding what is “infinite”, which, as beings stuck in finite bodies, is hard for us to understand. All of this, when used properly, helps us understand some more of the depth of creation. Skeptics will say “this isn’t evidence of G_d”, but to quote Rav Nota Schiller, “One who looks for G_d will find G_d everywhere, whereas one who doesn’t, will find G_d nowhere.” Jews believe that the man is the intersection between animals that are physical and instinctual based (animals cannot choose to become anorexic or choose to save a village from destruction out of any moral choice) and the melachim (usually translated as angels) who are purely spiritual, without body (who see the truth of creation so clearly that their free will is so limited as to usually, in what I’ve come across, to be referred to as non-existent; they sing praise to the creator all day). Man, on the other hand, is the intersection between both, having free will, while being connected to the ground and standing upright towards a creator. Man, the sole creature to use fire, uses fire which is connected to a physical source by extends upwards, away from it’s physical source.
. . . and his God 2.0 is a deity worthy of worship. But I am skeptical that it will displace God 1.0, [Hashem], whose Bronze Age program has been running for 6,000 years on the software of our brains and culture. So in short, there are those in the secular world of physics who very clearly believe in a creator. The difference seems to be in whether or not the creator cares what we do. While it’s nice to see that the “What?” question that modern science is capable of asking is converging with Torah, still, these scientists lack the ability to test, “Why?” However, if you’re going to go so far as to say there’s a creator, how can you then jump to the conclusion, without evidence, that the Torah is not true, and that we should all believe in “God 2.0” only? How do you know “God 1.0” isn’t the same one you’re finding now? Wouldn’t that be the simpler, more elegant conclusion? I can attack this on another, logical front: Again, returning to “Why?” If you believe, as Micahel Shermer, editor of Skeptic magazine believes, that there is, in fact, an infinite creator “worthy of worship”, well, why would this creator, create us? If this creator doesn’t care what we do, what’s the point of sustaining the universe at all, if it’s purposeless? Wouldn’t it also stand to reason that a creator who created us might give us some guidelines, and communicate with the creations? While I believe the most logical answer to my questions posed, especially based on the depth of Torah and everything in my learning of it points to a creator who cares about us and did, in fact, give us an instruction book, it’s hard to make someone else see what you see. They have to experience it for themselves. This post is a continuation of Considering the Existence of a Creator: Part I – Gerbils. Who Collapsed the Wave Function? Anyway, the point from the book that I took out of it was that matter is really a bunch of wave forms. It takes an observer to collapse the wave form into a reality. No observer means there is no reality – just a bunch of probability waves. An example is the paradox of a photon of light – it acts as a wave, but as soon as we observe it, it acts like a particle. How can it propagate through two slits, but then if we observe it, it only hits as if it went through one slit? 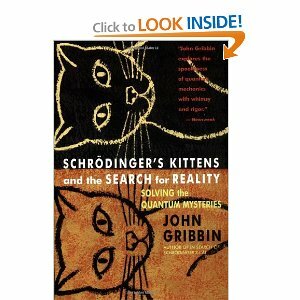 John Gribbin doesn’t say “G_d” is observing us, but then, if you have a big bang and no one there to observe it . 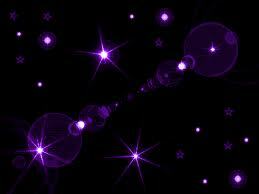 . . how, according to what we can observe of quantum physics, can the universe every collapse into anything? Where is the first observer? This, at 17 years old was the first time I seriously considered the possibility that there was a G_d. So there you have it – maybe there was evidence of a creator. But does this creator care what we do? While on the job, I saw all of their sales data and the amount of work each put in. Moe, the older brother, was in the office bright and early every day and worked from hard the whole day. Larry, the younger brother, tended to show up whenever and had a lot of extracurricular’s, like golf. Yet, when I created the nice bar graphs of their sales data, it was clear that Larry’s sales data was consistently about ten times higher than Moe’s. What gives? 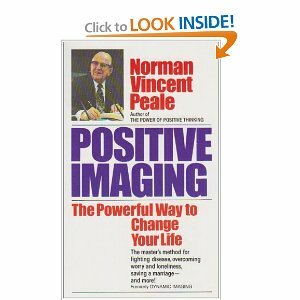 Near the end of the summer, Larry, who, honestly, I didn’t know that well because he wasn’t in the office all that much, gave me a book, “Positive Imaging” by Norman Vincent Peele. Larry told me that this was the secret to his success in business and he wanted to share it with me while I went off to college. I was hesitant to read it because Mr. Peele, or I should say, Minister Peele, had quotes throughout from the Christian Bible, but Larry told me just to skip those, and since Larry was Jewish, I knew he wasn’t trying to missionize me. Since Larry was so successful in business, I thought it was worth a shot. The basic premise of the “Positive Imaging” is that if you continue to place an image in your mind, and don’t let it go, it will happen. You can work towards your goal in life and get there. Sometimes there are roadblocks, but you keep your goal in mind and you’ll align yourself that way . . . and . . . he adds that G_d will direct it that way. The caveat, however, is that you could be directing yourself in a bad direction and come to do bad things this way, so you need to “test your idea through G_d” to make sure it’s right. I tried it. First, I tried it with small things, like falling asleep quicker. Then I tried it towards having a girlfriend and meeting physical desires. Then, I tried it with larger things, like doing well that semester. Then, I tried it towards guiding me towards the profession I wanted. (Then one day I realized I didn’t want it, but that’s a different story.) Today, I still do it – I wanted to be on my own in the practice of patent law, and I got there. I can thank losing a job at the right time to that. Beyond my control, but exactly what I needed. The problem was, after I got everything I wanted in college (not necessarily passing it “through G_d”), I was miserable. I had straight A’s, including in Organic Chemistry, a job making more money than I needed in college, a girlfriend, and I was miserable. True story. This is where “kodesh” comes in. That’s for another article, but the short version is that “kodesh”, usually translated as “holy”, really means, “to separate.” As in, “to separate good from bad, the pure from impure” to quote Vayikra [The Book of Leviticus]. This is where meaning comes in – by categorizing and choosing, but the only way we know if we’re choosing correctly is to be guided by the “instruction manual” given to us by the Creator. With the exception of perhaps certain innate truths (such as not to murder or steal), anything less than a connection to a source is really just a matter of a choice, based largely on what the world around you is telling you is correct. This changes based on the whims of the populace (so it seems) and therefore, what you consider the right political cause of the day is more likely than not going to be seen as meaningless and backwards in 100 years anyway. This leads me to . . .
“A person is led in the direction he wants to go.” – Talmud. Through this world, we can choose. We can choose destruction or we can choose to have a relationship with the creator. If we choose the later, we will see that back at is. If we choose the former, we will see a pretty bleak world. Boy:Well, the universe is everything, and if it’s expanding, someday it will break apart and that would be the end of everything! Mother: What is that your business? He stopped doing his homework! Mother: What has the universe got to do with it? You’re here in Brooklyn! Brooklyn is not expanding! Doctor: It won’t be expanding for billions of years yet, Alvy. And we’ve gotta try to enjoy ourselves while we’re here! (Watch the clip here.) Now, i can’t say I ever got that depressed about it, but I certainly had considered, as I think many people do: What’s the point? Like most heterodox Jews growing up, I didn’t say I believed in G_d, nor did I say I thought there was no G_d – for a very simple reason . . . neither were provable. Having had many attempts to argue each side with everyone from atheists to Rabbi’s, I don’t think one can prove it or disprove it using logical testing means. (Sefer Iyov [The Book of Job], in the Torah itself is largely about one man’s complaint to G_d, that he does strongly believe in, is unknowable my man. The exchange between Tzofar and Iyov in Chapters 11 – 14 is very much on this point, but that’s for another post.) In fact, we come to Jewish belief through Torah more than we do through the existance of G_d – that is our path to knowing G_d. There’s a saying that “If only my children would forget me and remember my Torah, for by remembering my Torah, they will eventually remember me.” [source needed!]. Now, with my agnostic beliefs I was brought up with, my mother shocked me one day. Here I was, an “evangelical evolutionist” (science was my religion, there was no other) and there lies are multiplying gerbils. You know how you buy two gerbils and the guy at the pet store tells you they’re both males so you won’t get 50 of them? Somehow, one always turns out to be female. 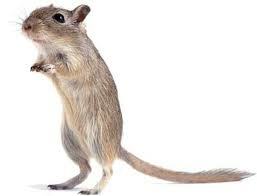 Anyway, my mother looks at the newborn gerbil babies and says sometime like, “There’s so much that could go wrong. Looks how amazing this is. It kind of makes you believe in G_d.” Wait, what? Don’t we have all these scientific explanations for everything? I immediately disagreed with her, but still, I was looking at one with a bent tail, and then in the next generation, seeing some of the offspring of that one have bent tails. The answer is in the gerbil baby – How is that formed? Why did the universe bang in the first place? Why were atoms larger than hydrogen created? Why solar systems? Why stars? Why planets? Why . . . the conditions for life in the first place? 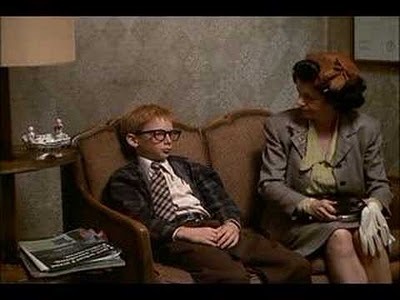 If you’re Woody Allen, you’re depressed about it. If you’re Tyson, you give lectures about it . . . but in one living creature, in one gerbil baby is a universe of departure from the expected, based on the laws of entropy. it’s all in how you choose to look at it. 1) Look at the 99%+ part of the world where we can’t life and say “The world that is trying to destroy us” as Tyson would say. 2) “Let’s embrace destruction and $%$ it” as Carlin would say. Bring on those cigarettes and alcohol! Eat, drink, and be merry until my heart attack! 3) “I have faith that it happened” as my genetics professor would say. Now, again, I’m not saying you can prove that #4 is correct based on anything I’ve written above. Maybe Carlin had it right, but I’d venture to say that, on average, the person who is steadfast in #4 is happier than Carlin, not just, as we might say, “in the afterlife,” but also in this life. If this is the truth, it sure is a good one. Look at the world in a positive light and see meaning and purpose in it all. Notice the greatness of the creation of even a pesky rodent, and therefore, all the more so, of man. Now to get more personal . . . The outline is below, but it’s easier to read if you pop it out into full screen view – click this: Iyov outline.